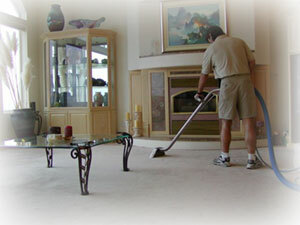 Steam Pro Carpet Care is a family owned and operated carpet and upholstery cleaning company located in Broward County, Florida. Our objective is to give high quality personal service to our customers at a very reasonable cost. Our other services include: Clean&Capture pressure cleaning, Emergency water extraction, pet odor elimination, carpet repairs & installation, boat & yacht carpet & upholstery cleaning. 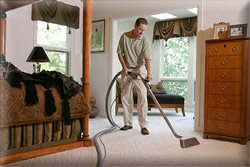 We maintain and clean all types of carpets based on the manufacture’s recommendation only. Low moisture, steam extraction or dry compound, we are able to provide all levels of service, using only safe materials, environmental friendly. 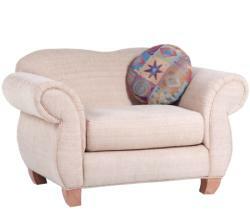 Upholstery Cleaning: Don't replace your favorite sofa or chair, let us restore the beauty and extend the life of your favorite upholstered furniture. Professional Pressure Cleaning: Our amazing Pressure Cleaning System captures up to 98% of the water being used with no run-off or damage to surroundings! Steam Pro's powerful equipment is a one-step system that pressure washes, rinses and instantly recovers the waste stream for proper treatment. This clean-and-capture system has expanded our ability to do environmentally sensitive jobs and protect your property. Use indoors or out with no overspray and no containment problems. Emergency Flood Extraction: State-of-the-Art equipment that quickly restores your home to a naturally healthy condition. The carpet is also cleaned and sanitized after it has dried.